Nina… or the encounter of different worlds. Her performances are light, fragile, airy but at the same time profound and dense. 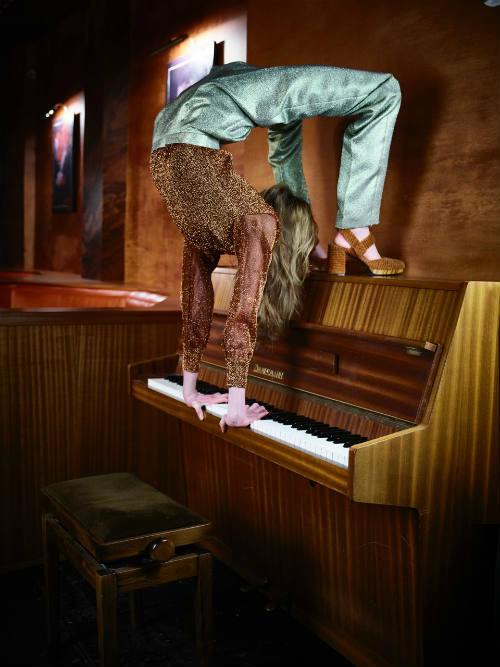 She combines flexibility and fluidity as well as asymmetry and rupture. 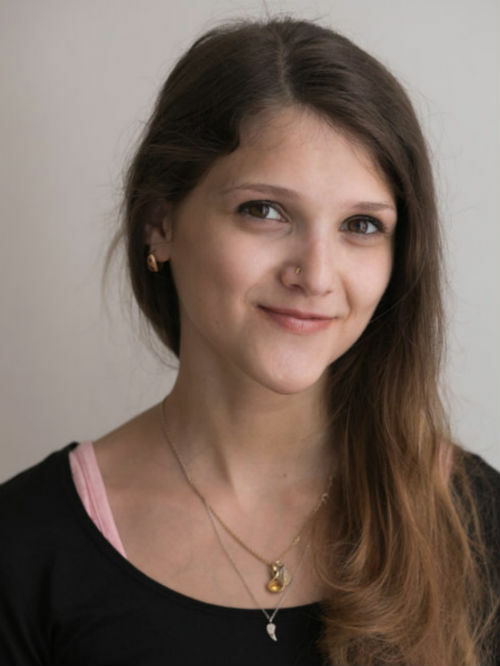 Nina started gymnastics at 6 years old and continued until she went to university. Passionate about the stars, she pursued a PhD in astrophysics. At the same time she fell in love with the circus and left academia to follow her dream. 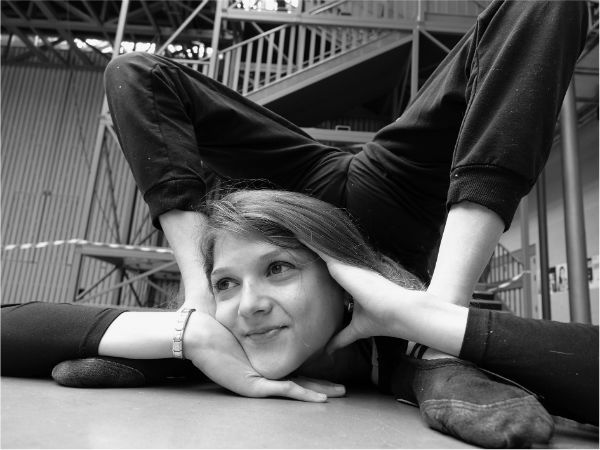 She trained contortion in Paris with Weiwei Liu and Yung Biau Lin (Beijing opera), Elena Taraimovitch (Moscow state circus) and went to Mongolia to train with Gelegdorj Hundagaa to work on the Marinelli bend. 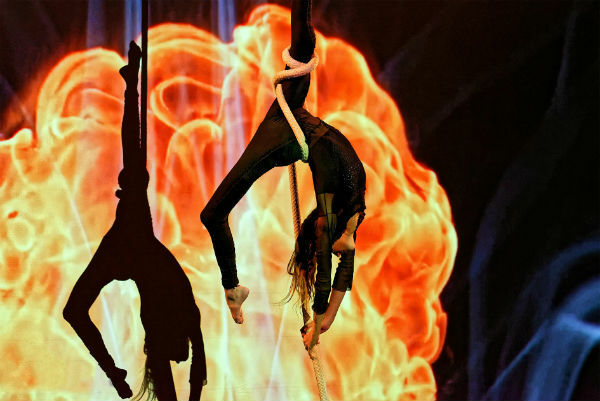 Nina has performed in stage shows around Europe including Circus Mash (UK), Fangs of Fortune directed by Chirag Lukha (UK), Cirque Electrique (France) etc but also for corporate and private events. Nina’s main discipline is contortion but she can also do aerial (rope, silks, hoop). She is based in Paris but has performed all around Europe. – “The Possessed Doll” – originally created for a Halloween show but suited for any other type of events and audiences. – “Sparring Partner” – cabaret-style act performed on a contortion table. Suitable for any type of events / audiences. – “White Angel” – traditional, sensual contortion-dance act rooted in Mongolian tradition. Suitable for any type of events / audiences. Nina can also make tailor-made acts depending on the event theme, music or the venue and is also available for walkabouts or contortion on a podium/table/bar etc.